The weather is not so good at this time of the year. To relax you can imagine the trip to France and this the theme of our today's challenge. 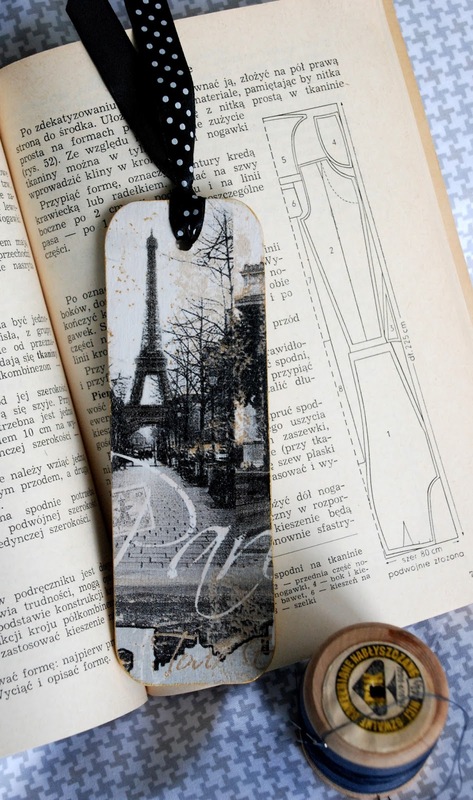 When we think about France, first of all we remember Paris and Eiffel Tower. France is well-known for other regions: Burgundy, Provance, Loar Valley. France is also well-known for Monet, Cezanne or Van Gogh. Think about the literature: Victor Hugo, Dumas or Verne. The challenge is to create work in any crafted form inspired by France. Remember about our rules and it is necessary to place our banner at work. Please also write what was your inspiration in creating a work related to France, and hurry - you have time to 6th December! Żeby zachęcić was do wspólnych podróży, mamy dla was nagrodę, którą ufundowała Iva - Prezent Sam w Sobie. 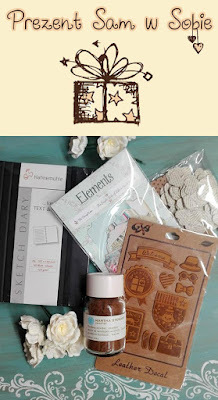 W skład zestawu wchodzi: notes A6 - naklejki, elements- the scrapCake, ginger ray - serca papierowe, 10 kwiatów white magnolias i flocking powder Martha Stewart. Same cuda! In order to encourage you to travel together, we have the prize that donated by Iva. The kit includes: A6 notebooks - stickers, scrapbook elements, ginger ray - paper hearts, 10 flowers white magnolias and Martha Stewart'sf locking powder. Na Wasze prace czekamy do 6 grudnia. Bawcie się z nami! We are waiting till 6th December for your works!